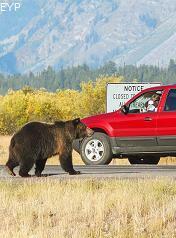 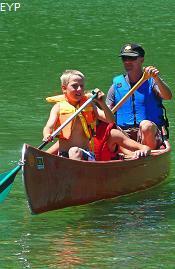 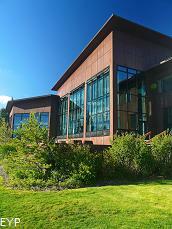 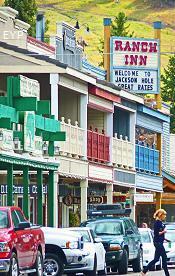 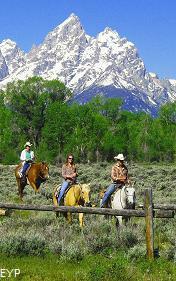 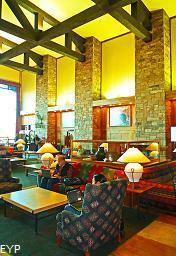 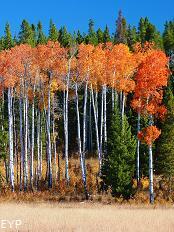 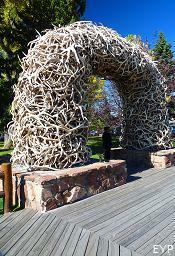 Below is our pick for the top ten things to do in Grand Teton National Park. 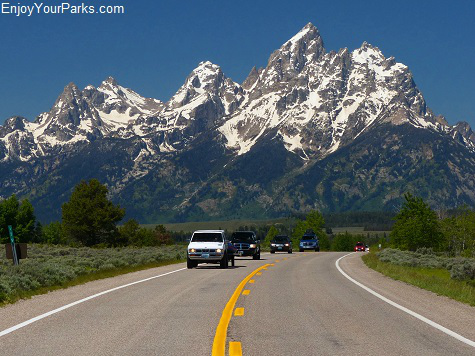 One of the convenient features of Grand Teton National Park is that it's not a huge park when comparing it to Yellowstone Park or Glacier Park, so everything is fairly close together and doesn't require a lot of driving. 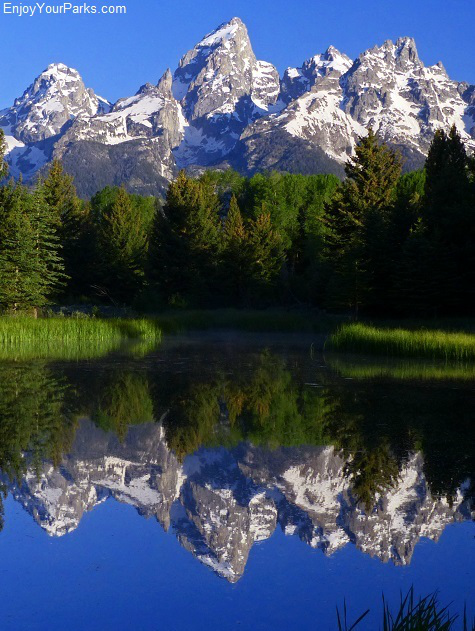 Please note that this "Top Ten" list we are providing you for Grand Teton National Park is not in order of favorites, instead it's in geographical order from north to south. 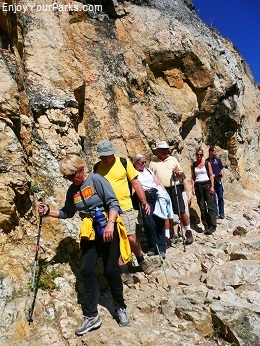 The photo to the right is of visitors working their way down the trail from Inspiration Point located in the Jenny Lake Area. 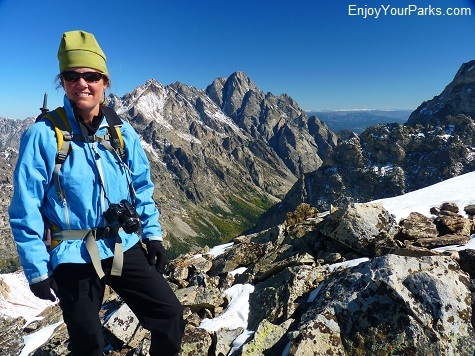 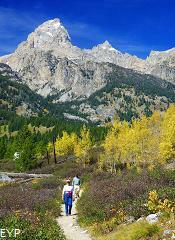 This hike is one of the most popular hikes in Grand Teton National Park. 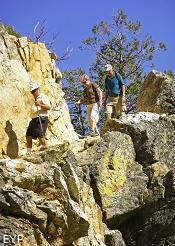 This page shows you all the great hikes, things to see, things to do, campgrounds, weather, news, and much more. 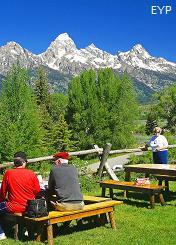 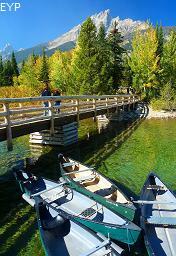 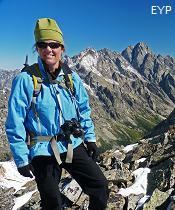 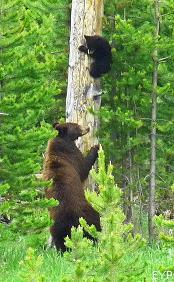 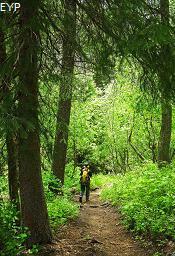 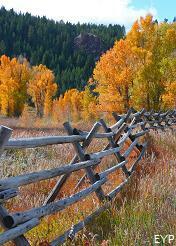 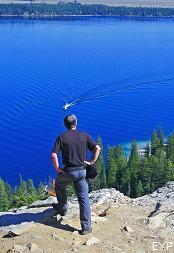 This page shows you all the great Grand Teton Park Hikes and Places. 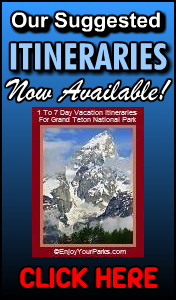 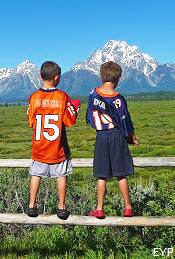 To help you maximize your enjoyment during your Grand Teton National Park Vacation, make sure to check out our Suggested Itineraries and "Ultimate Checklist". 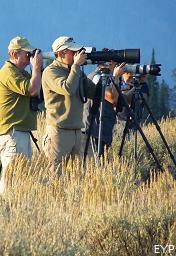 To see all of our helpful E-Books, click here. 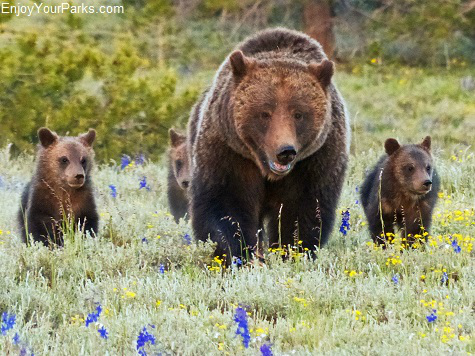 Grizzly bear known as "399" with her triplet cubs, Grand Teton National Park. 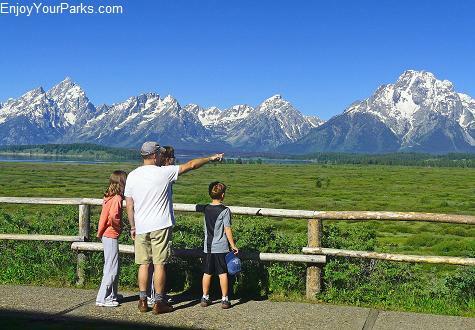 In addition to its incredible landscape, Grand Teton National Park is also a great place to see amazing wildlife, such as elk, black bears, grizzly bears, moose, river otters, antelope, gray wolves, buffalo and many, many other classic species of Rocky Mountain wildlife. 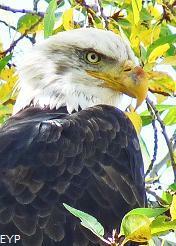 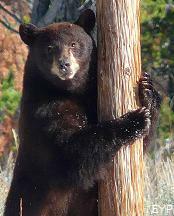 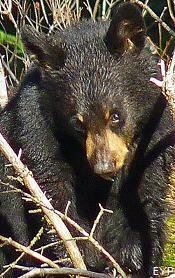 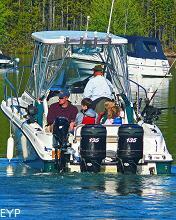 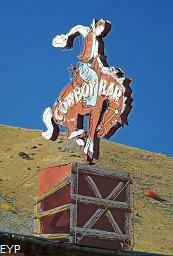 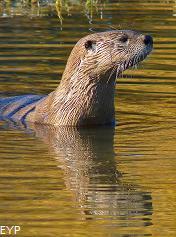 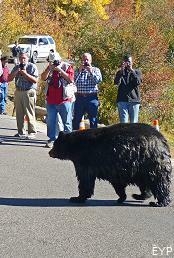 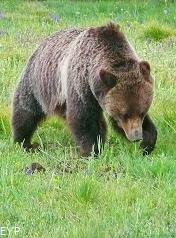 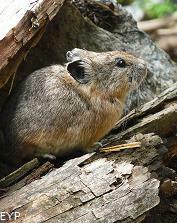 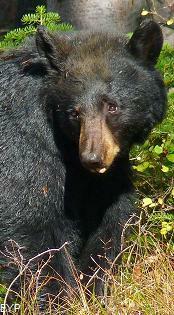 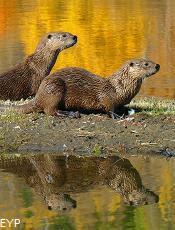 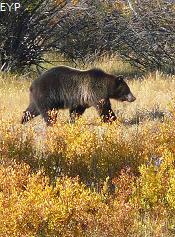 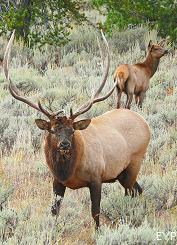 And what's really great is that most of the best wildlife viewing is right off the main highway! 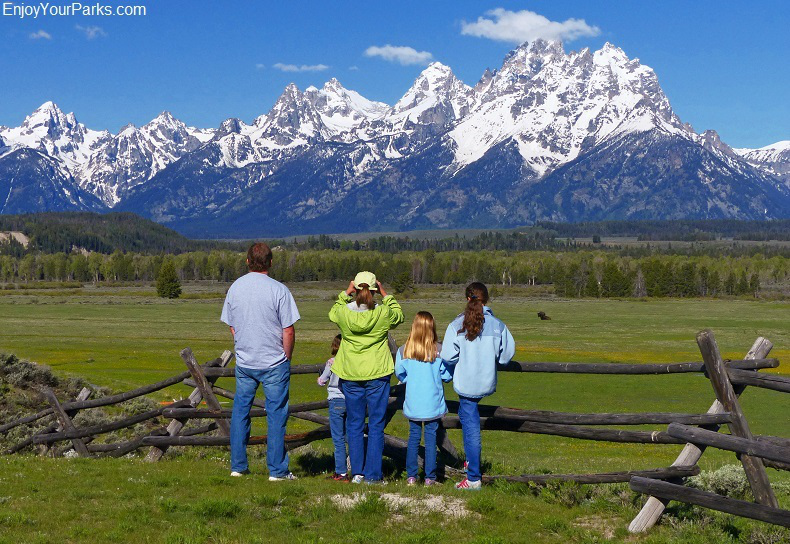 Visitors on the deck of Jackson Lake Lodge looking onto the legendary Willow Flats and the awe-inspiring Teton Range in Grand Teton National Park. 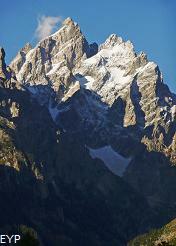 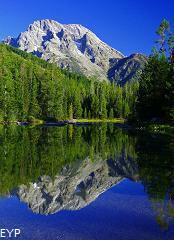 Grand Teton Peak is the tallest mountain in Grand Teton National Park, being 13,770 feet above sea level. 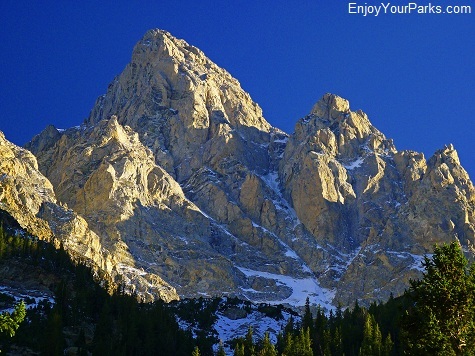 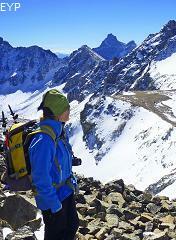 In addition to this famous mountain, there are eight other mountains over 12,000 feet. 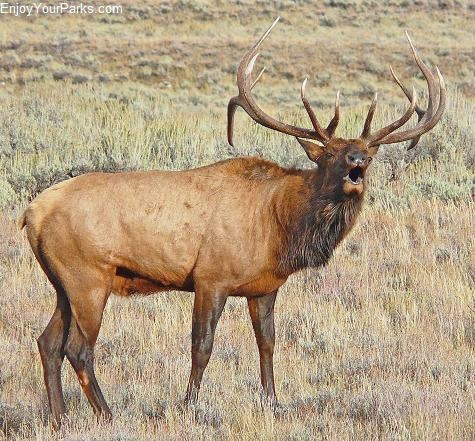 The range is about 40 miles long by about 8 miles wide, with it's flat prairie floor to the east having an average elevation of 6,800 feet above sea level. 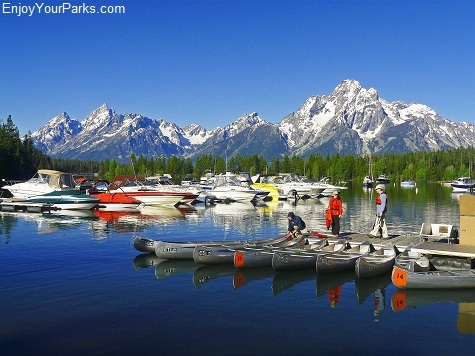 Jackson Lake, the largest lake in Grand Teton National Park is over 6,700 feet, as compared to Glacier Park's Lake McDonald which is only 3,153 feet above sea level. 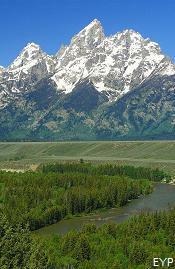 So the entire Grand Teton National Park area is "high", even the valley floor. 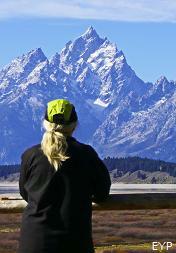 A glorious view of Grand Teton Peak from the backside of the range. 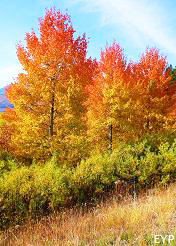 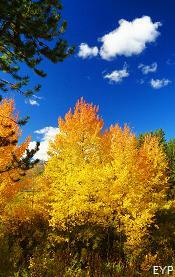 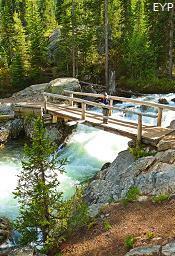 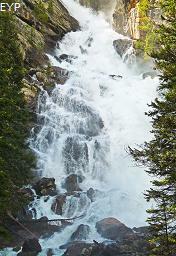 This photo was taken on the PaintBrush-Cascade Canyon Loop Trail in Grand Teton National Park. 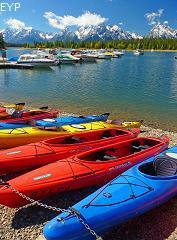 Colter Bay on Jackson Lake in Grand Teton National Park. 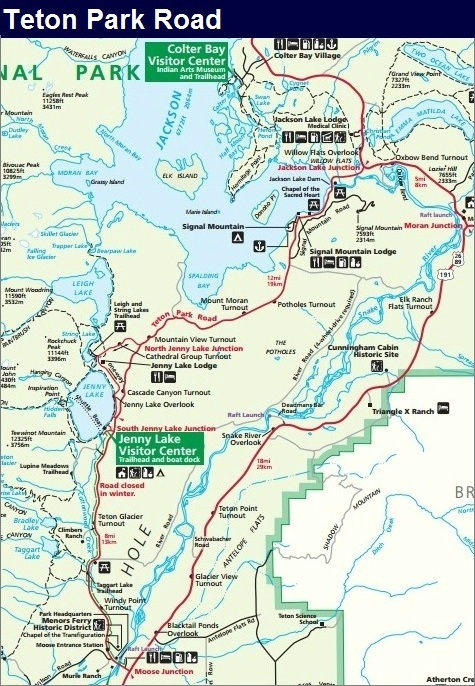 There are over 100 alpine lakes in the park, and several large lakes along the eastern front such as Jenny Lake, String Lake, Taggart Lake, Bradley Lake, Leigh Lake, Two Ocean Lake, Phelps Lake, and of course the monstrous Jackson Lake. 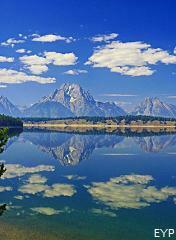 There is relatively easy access to all of these larger lakes in Grand Teton National Park, and each have their own "look". 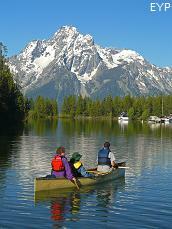 The famous Snake River flows directly through Grand Teton National Park, and is a fantastic river for floating and fishing. 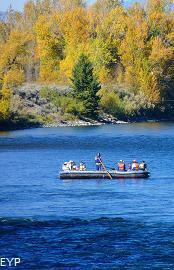 There are several rafting companies that you can sign on with for a wonderful float down this celebrated river. 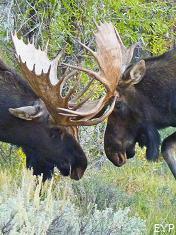 This was "love at first sight" between this bull and cow moose in Grand Teton National Park. 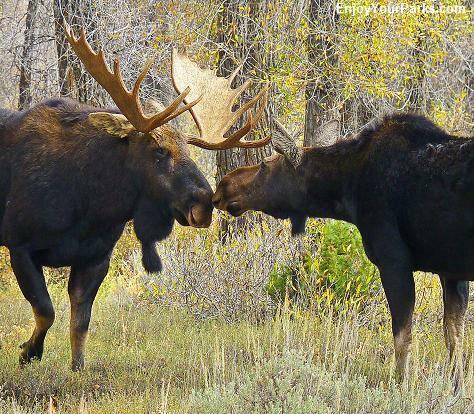 This only happens during the fall mating season. 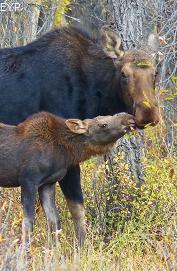 The rest of the year, they aren't nearly as affectionate. 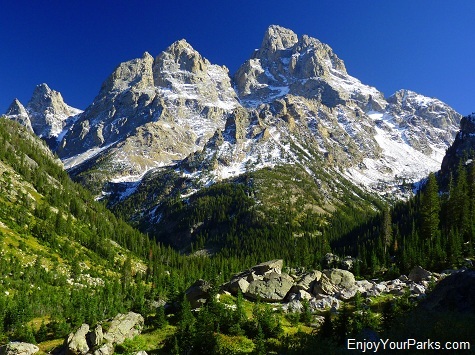 The Teton Range in Grand Teton National Park is spectacular! 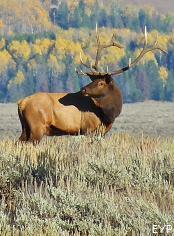 "Elk watching" is one of our favorite things to do in Grand Teton National Park during the fall mating season. 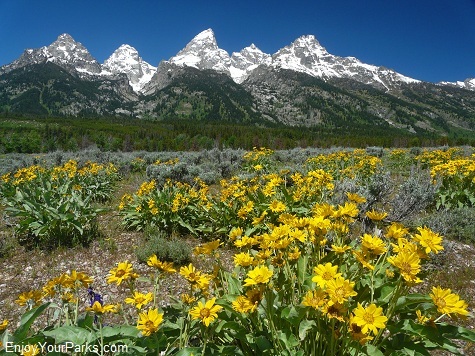 If your timing is right, you'll be astounded at the amount of wildflowers throughout Grand Teton National Park. 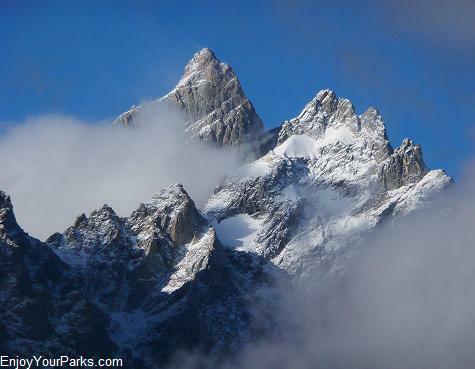 Grand Teton Peak is the tallest mountain in Grand Teton National Park, and it seems to literally touch the sky! 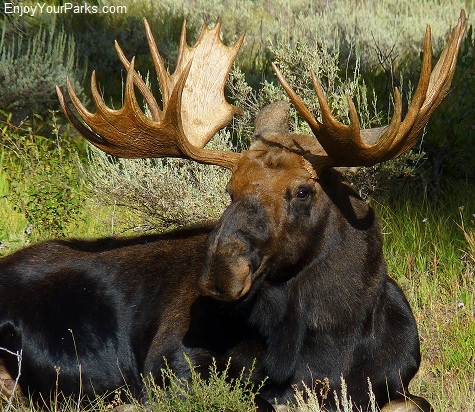 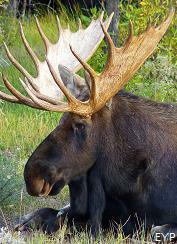 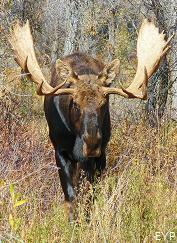 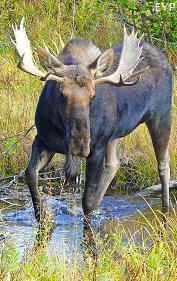 There is a large number of moose in Grand Teton National Park, and they are always a thrill to see! 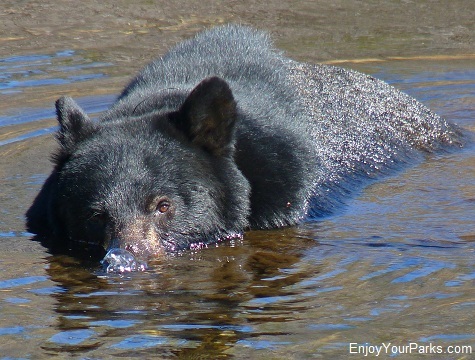 Black bear blowing bubbles near Moose Junction in Grand Teton National Park. 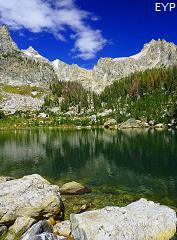 The backcountry in Grand Teton National Park is fantastic! 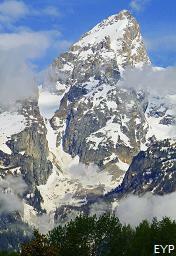 Grand Teton Peak as seen from the Paintbrush-Cascade Canyon Loop Trail, Grand Teton National Park.